There are many reasons to visit Italy as a single young person enjoying a gap year abroad, as a consummate professional looking for some refined experiences or as a retiree wanting to top-up his knowledge of history and art. 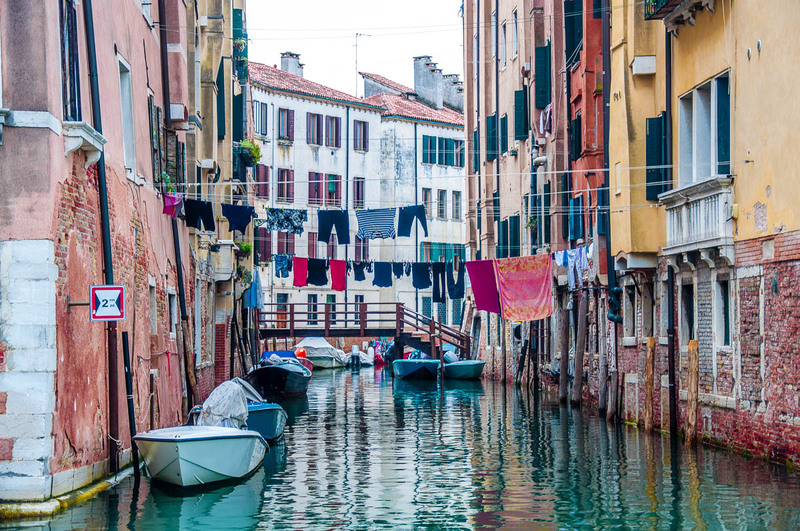 Visiting Italy as a family with young kids, on the other hand, may feel like a daunting task. Ugh! Just the idea of it makes you want to book an all-inclusive holiday with cocktails on tap and a kids’ club. Yet, if you are not the type of person who wants to spend their hard-earned vacation getting up at the crack of dawn in order to reserve a front-line lounger by the pool, and if you want your kids to have a meaningful experience of their travels abroad, there really isn’t a better place to take them than Italy. Especially when they are young, like in the range of 5 to 10 years of age. As long as you know what you want to focus on during your time in Italy rather than trying to squish all of the country in a week or two of breathless sightseeing, then you will be fine. The best thing is that you have a wide palette of options to choose from – art, history, science, nature, sports, food and (even) style! So, if you make an effort and compartmentalise your stay in Italy according to your and your kids’ interests instead of wanting to see it all, then you can easily escape the crowds, the heat and the mad dashes to the nearest loo. After all, Italy is a treasure trove of experiences to make a lifelong impression on young minds. With art being much of an afterthought in the school curriculums nowadays, it is a little wonder that our modern societies seem to lack in imagination, fine motor skills and even empathy. We are taught complex formulas but not how to hold a brush. We study for rigid exams and are discouraged to engage in messy artistic activities passed a certain age. Art seems to be limited to museums and galleries or to the occasional print we may purchase to hang on a magnolia-painted wall. Keep your eyes open for historical houses and buildings with creatively frescoed facades. They are everywhere in the historical centres of villages, towns and larger cities. Pop into small intimate churches with walls covered in mosaics and ceilings painted with life-size images of people and saints. Explore the countless antique shops and markets selling centuries-old paintings and knick-knacks. Play a game of ‘spot the graffiti’ by renowned Italian graffiti masters. For example, come to Padua to see the works of Kenny Random. Visit the birthplaces of world-renowned Italian masters. Just two examples here: You can see the birth house of Titian in Pieve di Cadore’ in the Dolomites and the birth house of Cima da Conegliano in the town of Conegliano in the so-called Prosecco Country in the Veneto. Take part in creative workshops regularly organised for kids by Italy’s museums and galleries. Art really surrounds you everywhere you go in Italy. Very soon you come to expect to be immersed in beauty at all times. Art is not taken out of its context here, it’s not reduced to paintings hanging on sterile walls or statues lined up in cold rooms. Instead, you and your young kids can immerse yourselves in it in the most natural, enjoyable way. Art stimulates the imagination, fosters the emotional development and helps you learn to experiment. These are all great things for young kids to experience. Always ask in museums and galleries about any creative workshops and activities they may organise for kids. Usually, these are held on weekends every week or once a month. Also usually they are free to attend and often there will be a speaker of English or other widely spoken languages to help kids who don’t know Italian. Ask at the local tourist office about guided art tours for kids. To make a visit to an art museum less tedious for young kids, play a game of ‘Spot the Animals’ in all paintings and sculptures you will come across the way. This will give your kids something to focus on and will develop their observational skills. There is nothing more stimulating for young minds than learning about history at the places where history was actually made. Italy has an incredibly rich heritage in this respect. Roman amphitheatres, centuries-old castles, and towns built on many layers of history are just waiting to be discovered by inquisitive kids and their encouraging parents. Visit a prehistoric village and learn about how people lived millennia ago. Explore a specialist museum or an archaeological park and learn about the Romans, what they ate and how they built their houses and roads. Have fun at a medieval fair and see craftsmen making shoes and clothes the old ways as well as soldiers battling with swords. 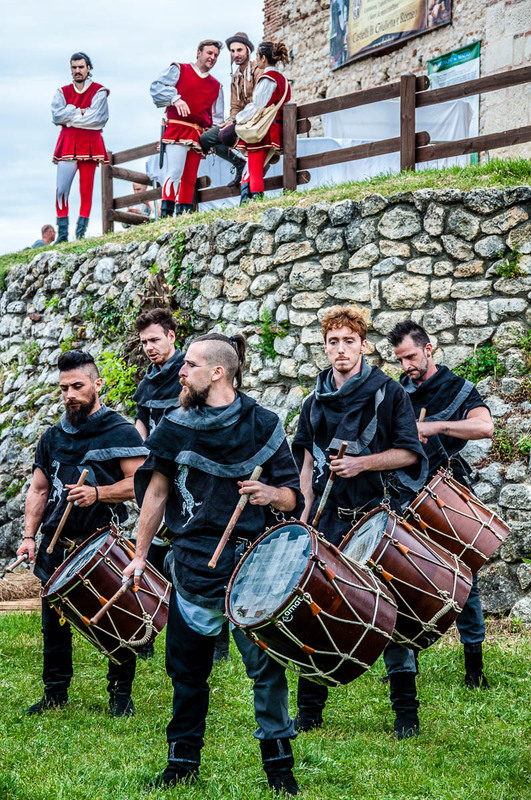 Explore a medieval walled town to understand how people protected themselves and their livelihoods by building huge defensive walls and deep moats. Learn first hand about the hardships of the First and the Second World Wars by visiting battlegrounds and monuments erected in memory of the fallen soldiers. Suddenly, history will leave the confines of the schoolbooks. It will become real for your kids and they will get better at putting historical facts in context rather than simply memorising important years and historical events. Look into staying in centuries-old buildings providing catering facilities, for example, Renaissance palaces turned into hotels, millennial monasteries where rooms can be rented, and historical inns. Try to explore as many layers of history as you can: Etruscans, Romans, archaeological parks, medieval guilds, Renaissance thinkers, recent historical events – it’s all a fertile ground to develop your kids’ curiosity and help them learn about the things of the past. Join a kid-friendly guided tour focusing on a particular historical period. Visit the workshop of an artisan still practicing the old traditions of his craft and watch him print using old machines, bind books by hand, make paper the old ways, weave cloth or make shoes. 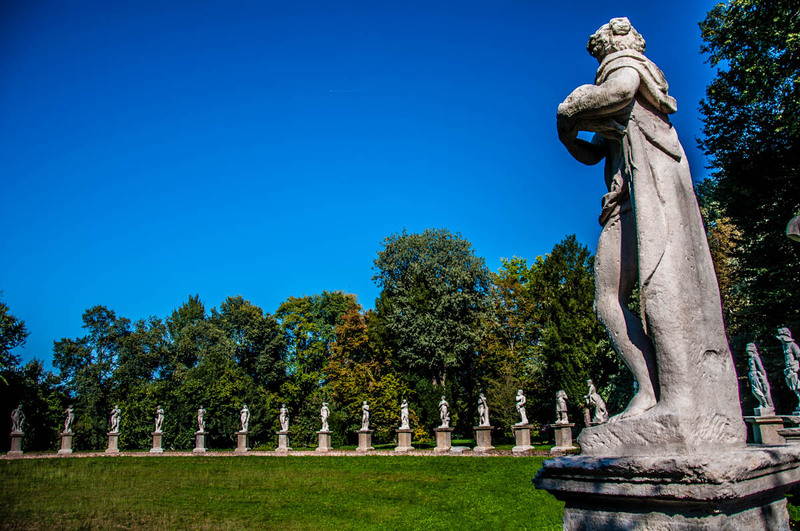 Padua in Northern Italy is considered the cradle of modern medicine? The Italian count Alessandro Volta invented the battery? The Italian physicist and inventor Federico Faggin designed the first commercial microprocessor? Not to mention the many inventions and the significant contribution to science of Leonardo da Vinci, Galileo Galilei, and Guglielmo Marconi. Visiting Italy with your young kids is a great opportunity to show them first hand the places where modern science took shape. Plus, there are many Science Museums where they can spend hours engrossed in various interactive displays. In Italy, you and your kids can also visit the oldest and the fifth oldest still in operation Universities in the world – respectively the University of Bologna and the University of Padua. This way you can foster an active interest in science in your kids and combine a nice family trip with a lifelong interest in physics, astronomy or medicine. Put lots of time aside to spend in museums dedicated to science and its development through the centuries. 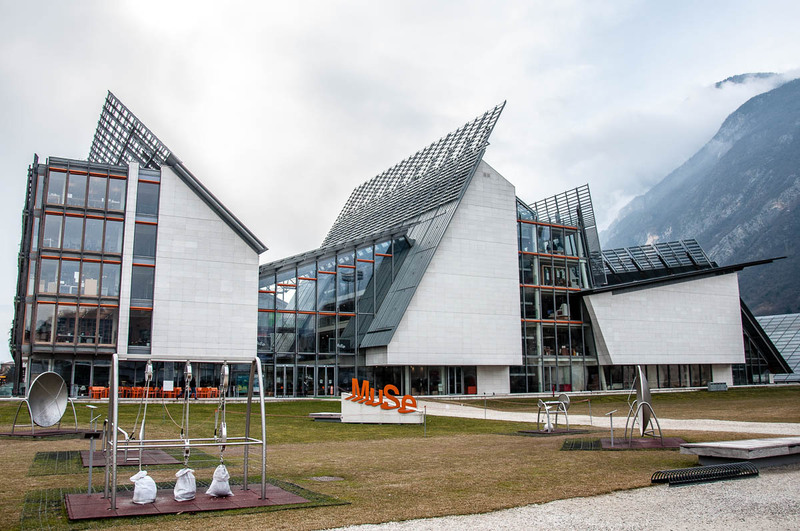 For example, don’t miss MUSE – Science Museum of Trento, MUSME – Museum of the History of Medicine in Padua, Galileo Museum in Florence or the National Museum of Science and Technology in Milan. Learn about the lives and achievements of Italy’s most eminent scientific minds. See where they were born, where they lived and worked. Take part in science workshops for kids organised by astronomical observatories and science museums. For example, the Botanical Garden in Padua (which is the oldest University Botanical Garden in the world) has a rich programme of scientific events for young kids. From proud mountains to sparkling seas, from gorgeous lakes to picturesque volcanoes and from deep forests to rolling hills, Italy offers a wide variety in terms of natural beauty and resources. You can spend the morning hiking up a hill covered with centuries-old olive groves and then laze the afternoon away at a beach. Or you can admire stunning water views from the ferry taking you across and half an hour later explore an island where dozens of types of birds live. Head to one of the hundreds of WWF natural oases dotted all over Italy. There you will be able to observe the local flora and fauna and even join regularly held guided walks or other such activities. Join a trek with llamas and alpacas through pristine forests. Farms like Maso Eden in the province of Trentino raise herds of these exotic animals which are lovely to get to know. 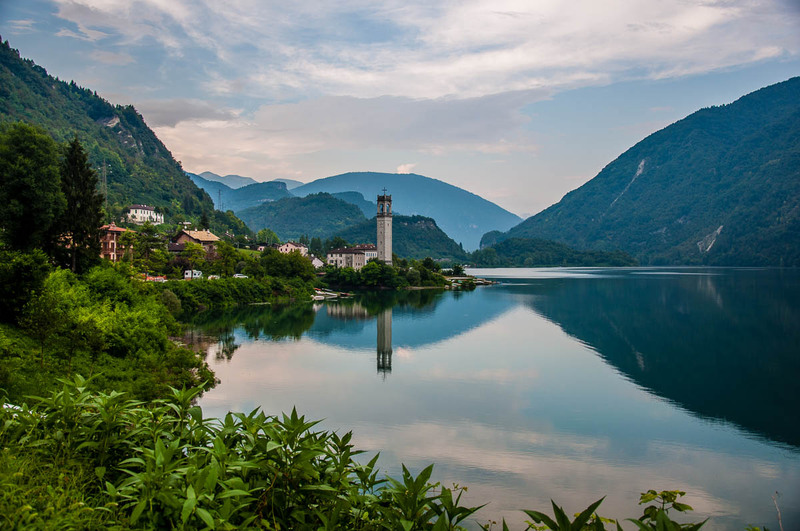 Explore one of the smaller lakes in Italy like Lake Tenno in the province of Trentino. Or head to one of Italy’s lesser known by the mass tourist yet absolutely stunning lakes like Lake Iseo in the region of Lombardy. Get to know Italy’s natural ecosystems like the Delta of the river Po where over 370 types of birds live. Among them are the fabled pink flamingoes. Getting to know Italy’s varied nature with your kids is a great way to have both a relaxing and an active holiday in the country. One of life’s greatest delights is watching your children explore hiking paths, run across green meadows, get close to domestic animals, observe birds in their natural environment, learn the names of dozens of trees and plants, and finally, happily fall asleep at night after burning so much energy. Consider booking your accommodation in a local agriturismo – a working farm where you can stay in simple but comfortable surroundings. Make sure that you can easily reach by car or public transport local areas of outstanding natural beauty. 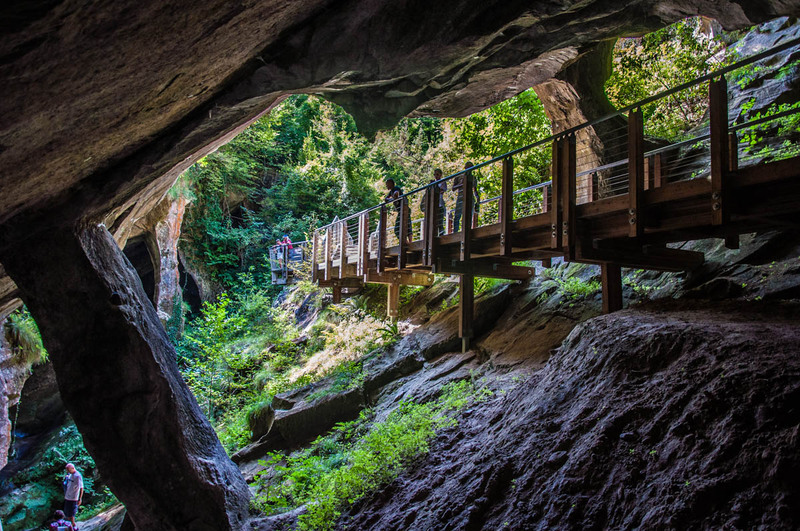 Join guided walks through forests, visit caves and waterfall parks, go on boat tours giving you a chance to explore Italy’s rivers, lakes, islands and nature reserves. Cycling, swimming and hiking are very popular in Italy. Kids start to cycle from nursery age and you can often see whole families heading out for a cycle around the hills on the weekends. Swimming pools are busy all year round and when the weather gets warm, numerous aquaparks open their doors, too. In addition, Italy is crisscrossed by hiking trails and centuries-old walking routes. Both at a national and at a grassroots levels significant effort is made to maintain and reinvigorate old and new hiking paths. Marathons, half-marathons and other running events are held regularly in all of the large Italian cities. Many camping sites offer all sorts of sports amenities – from tennis courts to swimming pools, from beach volleyball and ping pong to Nordic walking and archery. White water rafting, canoeing, kayaking and sailing – with countless of rivers and streams, not to mention the hundreds of kilometres of beaches, Italy is a great place to practice all sorts of water sports, too. Ski, sled, snowboard or simply play in the snow – the Alps and the Dolomites offer so many opportunities for winter sports. 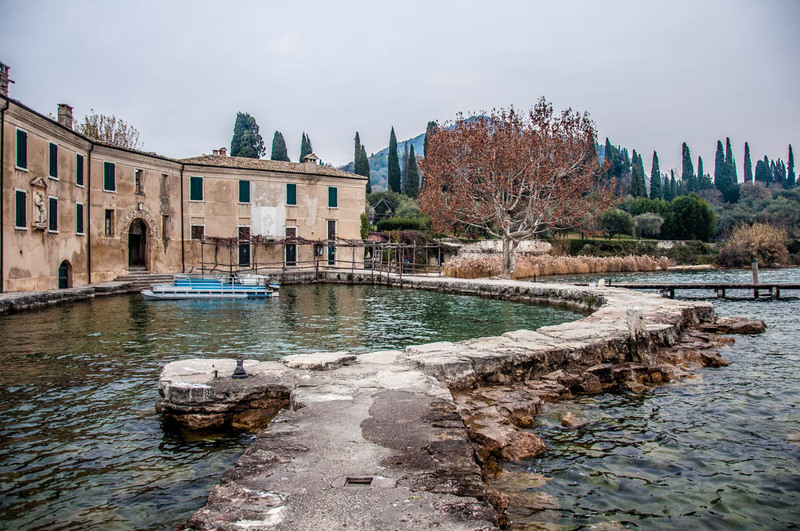 Plus, you can easily walk long distances everywhere – from circumnavigating the historical centres of centuries-old towns to following old curving paths connecting medieval villages with one another. Visiting Italy as a family with young kids is a great opportunity to be active and spend days practising different sports at any possible level – from friendly kickabouts with the neighbourhood’s kids to enjoying the water slides and all sorts of fun amenities of the sprawling aquaparks. Research hiking trails nearby to where you are staying and dedicate a day or two to simply walking surrounded by beautiful nature. Stay at a winter resort or summer camp specially geared towards children and offering many different types of sports for all sorts of levels. 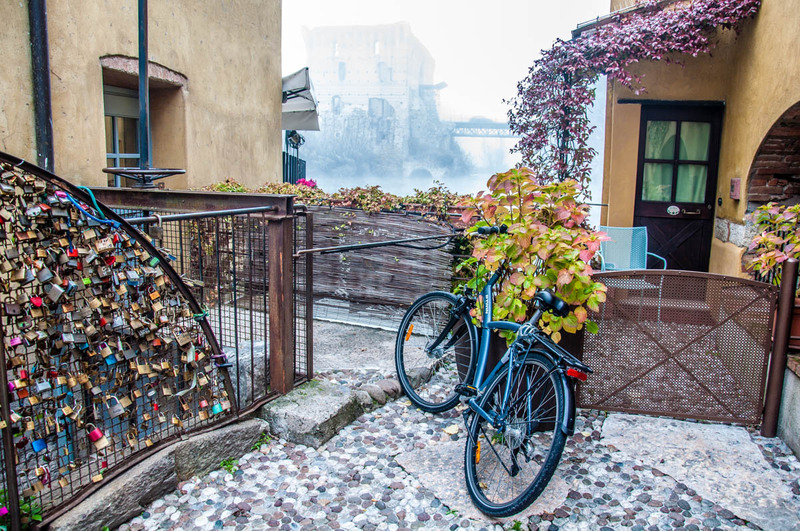 Rent bikes and explore the beautiful Italian countryside while leisurely cycling around. Make sure that your hotel has a swimming pool or an aquapark either attached to it or nearby. 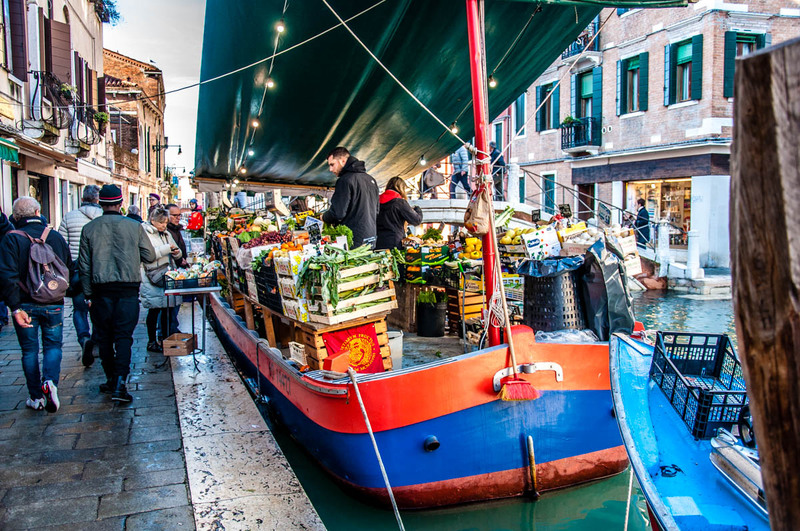 In a world where we are used to our food arriving chilled or frozen from thousands of kilometres away on board of large lorries, getting in touch with Italy’s approach to cooking and eating is an educational experience in itself. If you have ever dreamed of being able to show your kids how food grows and is then harvested and prepared for eating, Italy is the best place where you can make this happen. It’s a country which preserves its centuries-old food traditions and where countless small farms to this day use a number of organic growing methods. Here kids and their parents (even when visiting just for a few days) can quickly achieve a deep understanding of the value of real, unprocessed food. Visit a farm during the olive-harvesting or grape-picking seasons to observe and take part in the process. Join family-friendly food walks and cooking classes to learn how seasonal food is prepared in Italy in a simple way aiming to preserve its natural flavours. Take your kids to shop at local food festivals and fresh food markets. Sample different local specialities from finocchiona salami in Florence, Tuscany to white asparagus in Bassano del Grappa, Veneto, from pumpkin tortelli and sbrisolona cake in Mantua to arancini in Sicily. Eat local, eat seasonal and eat fresh and you and your kids will have a wonderful culinary time while in Italy. Set a good example by trying at least one new for you as a family vegetable, fruit or dish a day. Ask for food recommendations when you shop at local supermarkets, fresh food markets or when you order in a restaurant. Open yourself to the experience and your kids will follow suit. 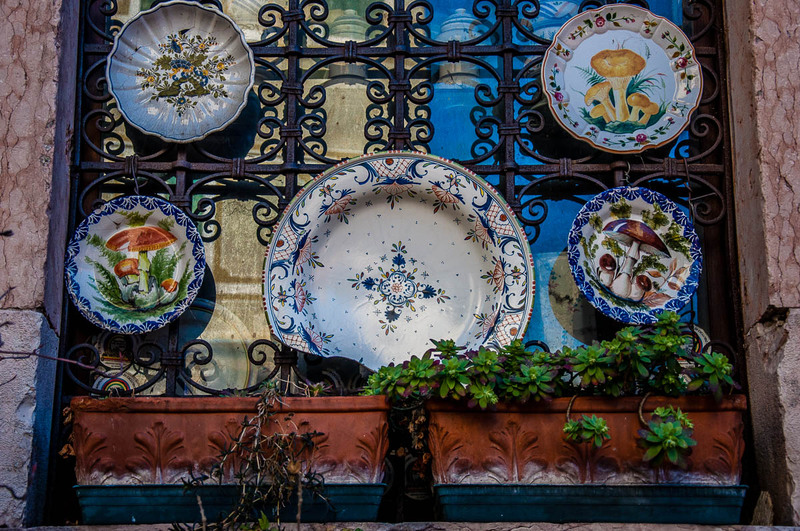 Inform yourself in advance about the local specialities of the Italian region(s) you will be visiting. As such, don’t order pizza in Venice or ask for Bagoss cheese in Piedmont. Explore the different types of eateries that abound all over Italy – from osterias and trattorias to restaurants. Notice the difference between them all. Adapt yourself to Italy’s meal times – a quick breakfast consisting of a cup of coffee and a brioche, proper hot lunch and then dinner with several courses late in the evening. Ask at your hotel or the local tourist office about any food festivals to be held in the vicinity during your stay in Italy. Try to book a farm visit, a guided food walk or a cooking class which are family-friendly. Experiment with cheap and delicious proper Italian street food. 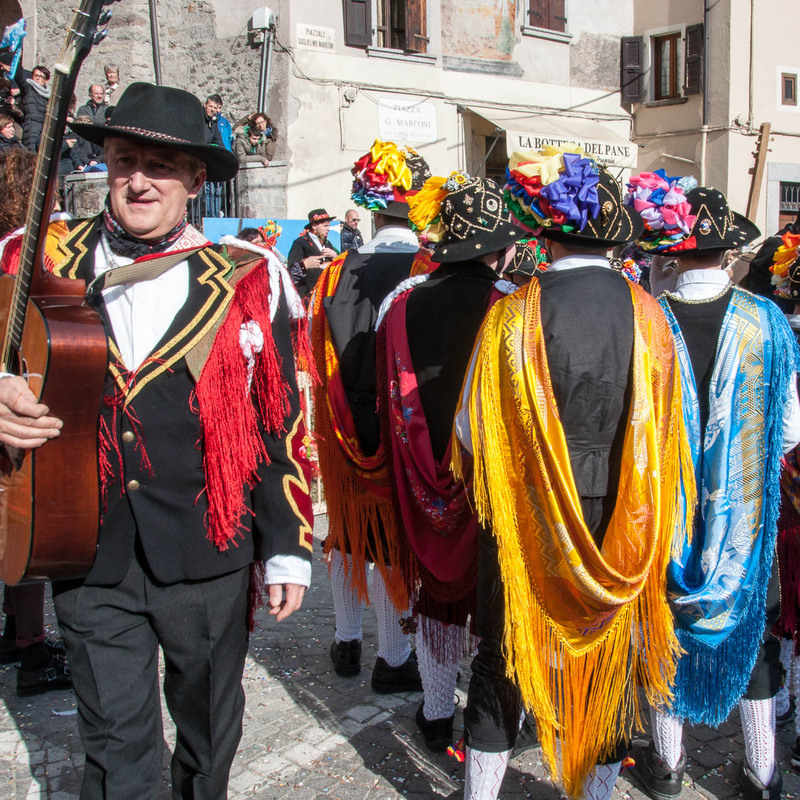 While in some countries wearing a onesie or pyjamas is a perfectly acceptable outfit to drop the kids at school or do some grocery shopping, Italy still very much lives by the tenets of the bella figura. In other words, this is the belief that all things in life should look their best at all times. Hence, you will soon notice how well-dressed people of any age in Italy are. From little kids outfitted in muted shades and with brand shoes on their tiny feet to old ladies and gents that look like they have just stepped out of the pages of a fashion magazine. Everyone looks rather coiffed and polished no matter if they are 9 or 99 years of age. Engage in lots of people watching. Just sit at the outside tables of a cafe when the weather is nice and watch the people passing by. Notice the old ladies’ carefully applied lipstick and pearl jewellery, the polished shoes of the gents, how everyone seems to wear an artfully knotted scarf. Spend time in design museums exploring the achievements of the Italian style setters. For example, try Triennale di Milano. Shop in small independent boutiques where carefully curated collections will delight you with exquisite finds. Style is something that needs to be encouraged and cultivated in kids and adults. Otherwise, we all will easily indulge our inner slob and not make much of an effort to look after ourselves. Showing kids how nice it is to be well put together and presentable no matter your age or financial ability is a great and a very educational thing. Kids learn best by observing and seeing beautifully dressed people who have put a lot of thought into their outfits and accessories may inspire them to follow suit. Visit a proper Italian barber to have a haircut and (for Daddy at least) an old-school shave. Then, you can have your nails polished, too. Italian gents do it all the time. Spend some time at a hairdresser’s and/or a beauty salon and try the services on offer. It doesn’t have to be super expensive. You can easily get a great haircut for 20 euros or so. Visit historical shops (ideally attached to artisan workshops) to learn about certain crafts like dress-, shoe-, bag- and jewellery-making. Stock on Italian cosmetics, handmade lotions and soaps. Italy is a great country to visit as a family with young kids. From its beautiful nature to its treasure trove of art, from the many sports amenities dotted all over the Italian towns and cities to the delicious seasonal food, there are many reasons to want to enjoy and explore Italy with kids. The article above gives you a good overview and lots of practical tips and ideas as to how to approach Italy if you want to teach your kids about art, history, science, nature, sports, food and style. You and your kids can have a wonderful time in the country if you are clear what you want to do and see there and which angle you are going to approach Italy from. Have you been to Italy with kids? What were the best things you saw and did together there? And what was the worst? 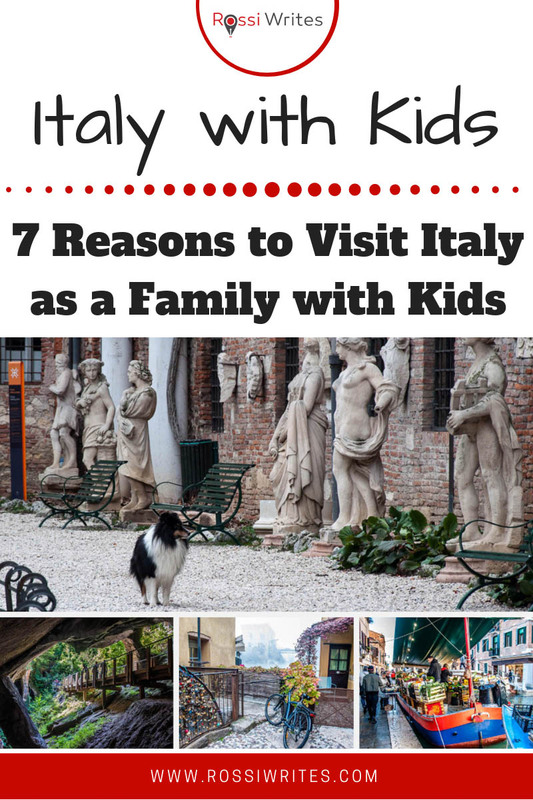 Are you planning a visit to Italy with kids? Let me know what you want to see and do there and which angle you will approach Italy from? I look forward to reading your indepth blogs! So much great information! Please share where the first photo was taken…..the building with all the statues. 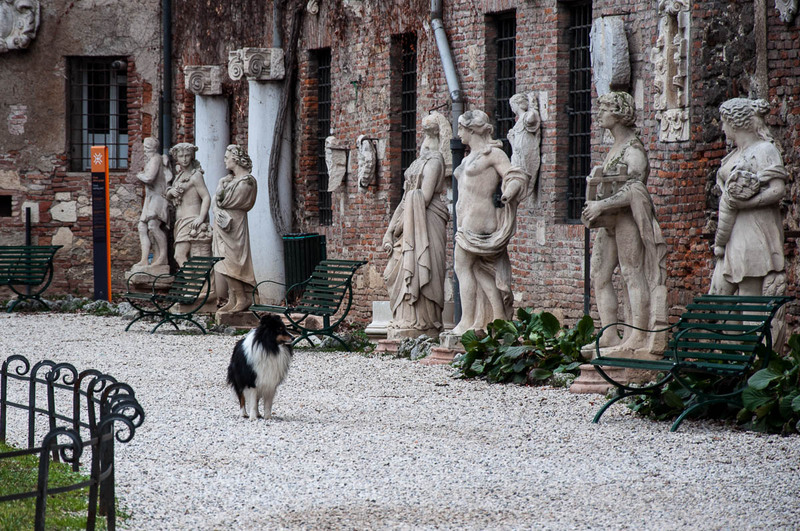 The photo was taken in the front yard of Teatro Olimpico in Vicenza. It is a beautiful sight to see both in and out (especially in! ).